Senior Jordan J. has been very involved with the Boys and Girls Clubs of the Suncoast for over four years. He’s even earned their Volunteer of the Year award! Recently, his younger brother, eighth grader Eric, has joined him and volunteered over the summer and on breaks when he can. A few years ago, Jordan wanted to do something special for the Boys and Girls Club Members for the Holidays. He decided to forgo any of his own gifts, and instead accumulated gifts and money to make other kids’ dreams and wishes come true. 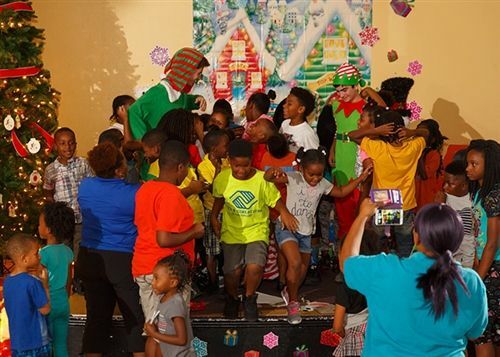 He hosted a surprise Christmas party for these children who have touched him so greatly - and it has since become a holiday tradition. This year, Jordan and Eric inspired others to help their efforts, and Jacobson Wealth Management Group sponsored a holiday party at the Club. They provided dinner, treats, stuffed stockings, a magician and fulfilled Santa wish lists. This video captures a few moments of the amazing evening. “By inspiring each other and thus inspiring my team [at Jacobson Wealth Management Group] and their families to join the efforts this year, we have all become better people,” observed a proud Marc Jacobson.